The CHÂTEAUX & HÔTELS COLLECTION Group comprises the VEGA GESTION and VEGA VOYAGES companies that market the services provided by "THE COLLECTORS" network ("We" or "us"), bringing together carefully selected establishments with common values in the field of hôtels de charme and gourmet restaurants ("Members"). As part of the management and activity of THE COLLECTORS network, we provide our Members with an intermediation service for hotel and restaurant bookings, ensure that your bookings are followed up and your claims managed, offer you the benefit of our loyalty programme, provide you with the option of receiving our newsletter and offer a gift pack that you can purchase to allow you to take advantage of services within our Members’ establishments ("Our Services"). "Booking Platforms") ; or indirectly, through our Members or business partners (Booking.com, Expedia, the Fork, etc.) ("Business Partners"). Who is responsible for the processing? VEGA VOYAGES, société à responsabilité limitée (limited liability company) with a share capital of €257,700, head office Bords de Seine 1 - 3, Esplanade du Foncet - 92441 Issy-les-Moulineaux cedex, registered under number 422 044 693 Nanterre Register of Trades and Companies. What are our principles regarding personal data? Proportionality and relevance: the processing and collection of your personal data takes place exclusively as part of the provision or improvement of Our Services, in particular for processing bookings that you have made through our Business Partners. Security and Confidentiality: we regard as confidential the personal data that you communicate to us and we take reasonable and necessary measures to prevent them from being accidentally deleted or lost or fraudulently modified, consulted or disclosed to unauthorised third parties. Personal data means any personal information that you may provide in connection with the use of Our Services and which may, directly or indirectly, enable you to be identified as a natural person. The personal data we may collect include your first and last names, your postal address, your email address, your landline or mobile number, the language spoken, your date of birth, your marital status, your IP address, and your connection and browsing data. Certain information related to your stays is also collected to determine your booking dates and details, arrival and departure dates, special requests, information regarding your preferences (including type of room, facilities or any other service used), dates of visits to our Members, dates and details of your purchases, use of promotional offers and response to satisfaction surveys. When are your personal data collected? Although your bank details are requested for booking or ordering hotel or restaurant services, we do not process or store such bank details, which are processed for payment directly by our subcontractor. Our subcontractor for bank details is certified PCI-DSS. This payment card industry standard is an international security standard whose purpose is to ensure the confidentiality and integrity of cardholder data, thereby securing transaction protection. We do not voluntarily collect sensitive personal data, such as those relating to race, ethnicity, political opinions, religious and philosophical beliefs, union membership, health details or sexual orientation. For what purposes are your data collected? managing your requests for the right of access, right to rectification and right to object. We request from you, directly or indirectly through our Business Partners or our Members, only the personal data necessary for providing Our Services as defined in the preamble and/or our Members’ services ("Transaction Data"). As part of your loyalty programme membership, only the data necessary to manage the loyalty programme are collected and stored by us following your request to subscribe to the programme ("Loyalty Data"). Your subscription to the newsletter is solely at your initiative and may be suspended at any time by using the unsubscribe link at the bottom of each newsletter email ("Newsletter”). The use of our online Booking Platforms may, subject to your acceptance, result in certain browsing information for your device being recorded in files called "Cookies" installed on your device ("Cookies"). These are intended to streamline your navigation and connection, retain your layout preferences and save your login details for faster access to online spaces and display preferences. Cookies are also deposited, through services such as Google Analytics, to track the number of visits, page views and our users’ browsing patterns. This data collection helps to optimise the ergonomics and improve the functionality of our websites. Finally, Cookies may also be transferred when you use sharing functions as a user on social networks. How long is your data retained? Your Transaction Data is retained only for the length of time required to complete the transaction, monitor quality, and manage claims or litigation where applicable. However, if you have created a personalised account on our www.chateauxhotels.com website or on www.lescollectionneurs.com, your data will be retained until you request the deletion of your account or, failing that, when there has been no connection to your account for a period of 36 consecutive months. Your Loyalty Data are retained until you request withdrawal from the loyalty programme or, failing that, when your loyalty card has not been used for a period of 36 consecutive months. If you have subscribed to the Newsletter, we will retain your email address solely for this purpose until you unsubscribe. However, notwithstanding the above, we may extend the retention period of some of your data solely for the purpose of fulfilling our legal obligations. Upon expiry of the above-mentioned deadlines, your data will be either anonymised for statistical purposes and according to an archiving system designed to protect your rights, or destroyed. We undertake to implement all technical and organisational measures to restrict access to your personal data exclusively to authorised persons and to ensure security against all types of incidents (destruction, loss, alteration, unauthorised disclosure or access, etc.). The provision of Our Services requires communication of some of your personal data to our Members. This is exclusively for the provision of the hotel and restaurant services that have been booked or ordered. We may also disclose your personal data to the technical subcontractors we use for the provision of Our Services (IT, bank details, marketing, etc.) and to our Business Partners, exclusively for the purpose of providing Our Services and our Members’ services. We see to it that all our Members, Subcontractors and Business Partners are committed to ensuring full compliance with the EU regulations in force regarding personal data and with our obligations under the present Policy. Where are your data stored? We store your data only in France or within the European Union. Some of our Members, Subcontractors or Business Partners who receive your personal data may be located in countries offering levels of personal data protection that are not equivalent to the level of personal data protection in the European Union. In this case, we regulate the transfer of your personal data by means of contractual engagements with our Members, Subcontractors or Commercial Partners to ensure that they provide an adequate level of protection of your personal data. In the event of any complaint regarding the use of your data, we will do our best to respond you as soon as possible. The exercise of your rights is free of charge unless you have unjustified or excessive claims. If necessary, we will charge you a reasonable fee based on the administrative costs incurred to meet your requests. Please give your last name, first name, postal address and email address to speed up the processing of your request. You can request the deletion of your personal data. Please note, however, that we may retain certain information about you when required by law to do so. You may also, for legitimate reasons, object to the processing of your data by writing to the address above. In addition, an unsubscribe link is always included at the end of the communications we send you. Our unsubscribe page is also available here. The right to portability of your data applies only if your data is processed automatically (paper files are therefore excluded) and on the basis of your prior consent or the execution of a contract concluded with you. In the case above, you can request transmission of your data, directly by you or by another provider designated by you. You are entitled to lodge a complaint with the CNIL if you believe that the use of your personal data does not conform to data protection regulations or if you have reason to believe that your personal information is being or has been used in a manner that does not comply with the law. Questions regarding your personal data? 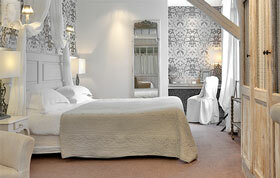 The brand les Collectionneurs commercializes on its website independent hotels and via the VEGA TRAVEL agency. VEGA VOYAGES is part of the CHATEAUX & HOTELS COLLECTION Group along with VEGA GESTION, which promotes a network of independent hotel and restaurant operators under the brand name "Les les Collectionneurs". VEGA VOYAGES sells les Collectionneurs Gift Boxes and les Collectionneurs Gift Certificates that allow their Beneficiaries to benefit from services provided by members of the les Collectionneurs network, under the conditions described below. VEGA VOYAGES offers operators of member establishments in the les Collectionneurs network the opportunity to participate in accommodation and catering services offers as well as related activities, grouped by themes, and intended to be provided at a fixed price ("les Collectionneurs Gift Boxes"). Les Collectionneurs Gift Boxes primarily provide benefits relating to accommodation and/or catering services provided by the member establishments of the les Collectionneurs network participating in each offer (the "Participating Establishments"). Les Collectionneurs Gift Boxes are physically represented by a unique 12-digit number voucher (14 digits in the case of les Collectionneurs Gift Boxes sold prior to January 2019), a detailed description of the services to be provided by the Participating Establishments concerned on the date of issue of the particular les Collectionneurs Gift Boxes, and these General Conditions of Sale and Use. These items are presented, at the Customer's choice, either on a physical medium sent by post ("les Collectionneurs Physical Gift Boxes"), or virtually via email ("les Collectionneurs e-Gift Boxes"). The accommodation and/or catering services and, if applicable, ancillary services to be provided by the Participating Establishments, are described for each type of offered Gift Box on the website accessible at https://www.lescollectionneurs.com (the "lescollectionneurs.com Website"). Les Collectionneurs Gift Boxes can only be used in the Participating Establishments concerned. VEGA VOYAGES may be obliged, for reasons beyond its control, to modify the list of concerned Participating Establishments. As such, it undertakes that the updated list of concerned Participating Establishments for each of its les Collectionneurs Gift Boxes offers will be available at all times on the lescollectionneurs.com Website. VEGA VOYAGES publishes les Collectionneurs Gift Certificates with a face value of 100,150 and 200 Euros, which can be used to pay for accommodation and food services as well as related activities provided by all member establishments of the les Collectionneurs network, with the exception of those outside the Euro zone ("les Collectionneurs Establishments"). Les Collectionneurs Gift Certificates are physically represented by a unique 12-digit number voucher (14 digits in the case of les Collectionneurs Gift Certificates sold prior to January 2019), specifying its particular face value (100, 150 or 200 Euros) and these General Conditions of Sale and Use. These items are presented, at the Customer's choice, either on a physical medium sent by post ("les Collectionneurs Physical Gift Certificates"), or virtually via email ("les Collectionneurs e-Gift Certificates"). Les Collectionneurs Establishments are listed on the printed guide attached to the les Collectionneurs Physical Gift Certificates, and also on the lescollectionneurs.com Website. The accommodation and/or catering services and, where applicable, the related service activities provided by les Collectionneurs Establishments are described on the lescollectionneurs.com Website. Les Collectionneurs Gift Certificates can only be used in les Collectionneurs Establishments (and totally excluding establishments located outside the Euro zone), that are members of the les Collectionneurs network on the day they are used by the Beneficiary. The Collectionneurs Gift Cards corresponding to Gift Boxes are presented in an orange metal box. Les Collectionneurs Gift Boxes and les Collectionneurs Gift Certificates can be ordered online through the lescollectionneurs.com Website via the area dedicated to les Collectionneurs Gift Boxes and les Collectionneurs Gift Certificates. As part of each order, the Customer must specify in particular the type and number of les Collectionneurs Gift Boxes and les Collectionneurs Gift Certificates, their form (les Collectionneurs Physical Gift Boxes or les Collectionneurs e-Gift Boxes; les Collectionneurs Physical Gift Certificates or les Collectionneurs e-Gift Certificates), their complete contact details, the chosen delivery methods, as well as the contact details and postal address to which the les Collectionneurs Physical Gift Boxes or les Collectionneurs Physical Gift Certificates must be sent if they differ from those of the Customer. The sale will be final only once the Customer has accepted these Terms and Conditions of Sale and Use and after VEGA VOYAGES has received the full corresponding price for the order. VEGA VOYAGES will send the Customer, after validation of their order, a confirmation email containing all the pertinent information. Zone 1: Belgium, Luxembourg, Netherlands. Zone 2: Austria, Denmark, Spain, Ireland and United Kingdom. Zone 3: Czech Republic, Croatia, Hungary, Poland, Slovakia and Slovenia. Zone 4 : Germany,Finland,Italy and Portugal. Zone 5 : Andorra, Switzerland, Jersey, Liechtenstein, Norway and San Martin. Zone 6 : Bulgaria, Estonia, Greece,Lithuania, Latvia and Romania. The invoice for the items ordered by the customer is addressed, only upon request (for "general public" customers bookings, which are directly done on the Website), to the latter during the ordering process. The price of each les Collectionneurs Gift Box indicated on the website is the prevailing price at the date of the order. The price of each les Collectionneurs Gift Certificate is the face value indicated on the lescollectionneurs.com Website on the day of the order. If the Customer chooses les Collectionneurs Physical Gift Boxes or les Collectionneurs Physical Gift Certificates, delivery fees will also be applied, calculated according to the number of les Collectionneurs Physical Gift Boxes or les Collectionneurs Physical Gift Certificates and the place of delivery, as expressly indicated on the lescollectionneurs.com Website prior to validation of their order. No delivery charges will be applied if the Customer chooses les Collectionneurs e-Gift Boxes or les Collectionneurs e-Gift Certificates. In accordance with the regulations in force, the sums paid by the Customer for the purchase of les Collectionneurs Gift Boxes and les Collectionneurs Gift Certificates are exclusive of VAT. Delivery charges are subject to VAT at the prevailing rate. Les Collectionneurs Gift Boxes and les Collectionneurs Gift Certificates plus any delivery charges are payable in cash, in Euros, when ordering: by credit card belonging to the Customer (Carte Bleue, VISA, Eurocard/MasterCard, American Express, e-carte bleue, JCB, Diners). In this case, the payment is made via a secure SSL protocol online payment system and using the 3D secure tool, providing the Customer supplies their credit card number and its date of expiry. Any fraudulent use of the Customer's credit card is subject to the contractual provisions agreed between the Customer and the bank issuing the card. Invoices for les Collectionneurs Gift Boxes and les Collectionneurs Gift Certificates ordered by Customers are sent by email to the Customer three days after fulfilment of their order. Orders for les Collectionneurs Physical Gift Boxes and Certificates are processed within 48 working hours from confirmation of the order by VEGA VOYAGES sent by email to the Customer. Les Collectionneurs Physical Gift Boxes and Certificates are sent by post, according to the methods chosen by the Customer when placing the order (Colissimo Expert or Chronopost), to the person and delivery address whose contact details have been expressly indicated by the Customer when placing the order. VEGA VOYAGES will send an email to the Customer via its logistics subcontractor to inform them of the shipment of the les Collectionneurs Physical Gift Boxes and Certificates ordered, specifying the tracking number of the carrier chosen by the Customer during their order. Delivery time: about 3 working days from the date of shipment (for mainland France and outside peak periods). For deliveries outside mainland France, delivery times vary depending on the destination. No delivery is made on Saturdays. Delivery time: approximately 1 working day (24 hours) after shipment (for mainland France and outside peak periods). For deliveries outside mainland France, delivery times vary depending on the destination. No delivery is made on Saturdays. - order placed after 10am: shipping the following Monday. Any order placed on a Saturday or a Sunday, will be automatically considered as an order placed on Monday before 10am. Any order placed on a holiday, will be treated the next day (excluding weekend). The Customer is solely responsible for the accuracy of the information communicated in the order, including the contact details of the person and the delivery address for the les Collectionneurs Physical Gift Boxes and les Collectionneurs Physical Gift Certificates ordered. VEGA VOYAGES can in no way be held responsible for a return delivery due to an incomplete or incorrect address and the return shipping costs will be solely the responsibility of the Customer. In the event that the recipient is absent and a notice of passage is filed, VEGA VOYAGES cannot be held responsible for the deterioration of the les Collectionneurs Physical Gift Boxes and Certificates due to their late retrieval. Not meeting delivery times can in no case give rise to compensation. Orders of les Collectionneurs e-Gift Boxes and les Collectionneurs e-Gift Certificates are processed during validation of the order by VEGA VOYAGES as confirmed by e-mail addressed to the Customer. The Customer may exercise their right of withdrawal within fourteen complete days from the date they or the Beneficiary receive les Collectionneurs Gift Boxes and les Collectionneurs Gift Certificates, without having to justify reasons or to pay penalties. The right of withdrawal must be exercised by the Customer within the aforementioned period, using the form attached to this document (also available in electronic format at https://lescollectionneurs.typeform.com/to/YfrDFT) or by any other unambiguous declaration expressing their desire to withdraw sent by post to: Service Marketing – les Collectionneurs - Bords de Seine 1 | 3 Esplanade du Foncet - 92441 ISSY LES MOULINEAUX CEDEX – France or by e-mail to service@lescollectionneurs.com. If the right of withdrawal exercised is in relation to a les Collectionneurs Physical Gift Box or les Collectionneurs Physical Gift Certificate, the Customer must return it to VEGA VOYAGES as soon as possible, and at the latest within fourteen days of communicating their decision to withdraw. The costs of returning les Collectionneurs Physical Gift Boxes and les Collectionneurs Physical Gift Certificates will be borne by the Customer. All les Collectionneurs Physical Gift Boxes and les Collectionneurs Physical Gift Certificates returned by the Customer must be in perfect condition. If the right of withdrawal exercised is in relation to a les Collectionneurs e-Gift Box or les Collectionneurs e-Gift Certificate, the Customer must inform VEGA VOYAGES within the aforementioned period including the following information: full name; Order number; number of the les Collectionneurs e-Gift Box, number of the les Collectionneurs e-Gift Certificate. Any withdrawal made in accordance with the conditions of this article will result in a refund of all amounts paid including standard delivery costs, within fourteen (14) days from the date on which the Customer informs VEGA VOYAGES of their decision to withdraw. The refund will be made through the payment method used by the Customer for the initial transaction. In the event that a les Collectionneurs Gift Box or les Collectionneurs Gift Certificate is used by the Customer or the Beneficiary before the expiry of the aforementioned withdrawal period, the latter shall be deemed to have expressly waived the right of withdrawal. Each les Collectionneurs Gift Box is identified by a unique twelve-digit code (14 digits for les Collectionneurs Gift Boxes sold prior to January 2019) activated within 48 hours by VEGA VOYAGES when processing the Customer's order. Les Collectionneurs Gift Boxes are valid for a period of 18 months from the date of purchase with VEGA VOYAGES. For les Collectionneurs Physical Gift Boxes, this date is the date of acquisition by the Customer indicated on the order confirmation e-mail sent to the Customer. For les Collectionneurs e-Gift Boxes, the period of validity is indicated on the documents sent to the Customer by e-mail. The Participating Establishments concerned in each les Collectionneurs Gift Box offer are required to provide all the services included in the package, or in the event of unavailability, services that are equivalent or of an equivalent amount. Each les Collectionneurs Gift Certificate is identified by a unique twelve-digit code (14 digits for les Collectionneurs Gift Certificates sold prior to January 2019), activated by VEGA VOYAGES within 48 hours when processing the Customer's order. Les Collectionneurs Gift Certificates are valid for a period of 24 months from the date of purchase with VEGA VOYAGES. For les Collectionneurs Physical Gift Certificates, this date is the date of its acquisition by the Customer indicated on the email sent to the Customer confirming their order. For les Collectionneurs e-Gift Certificates, the period of validity is indicated on the documents sent to the Customer by e-mail. The Beneficiary can check the validity of a les Collectionneurs Gift Box or les Collectionneurs Gift Certificate at any time on the lescollectionneurs.com Website in the area dedicated to les Collectionneurs Gift Boxes and Certificates by clicking on the "check the validity of a gift" tab. Les Collectionneurs Gift Boxes and les Collectionneurs Gift Certificates are not nominative and can be used by anyone who possesses them. The holder is fully responsible for them without any recourse possible in case of loss or theft. Les Collectionneurs Gift Boxes are neither refundable nor exchangeable in whole or in part for cash or les Collectionneurs Gift Certificates and cannot be accumulated or combined with les Collectionneurs Gift Certificates. Les Collectionneurs Gift Certificates are neither refundable nor exchangeable in whole or in part for cash or against les Collectionneurs Gift Boxes and cannot be combined with les Collectionneurs Gift Boxes. Les Collectionneurs Gift Certificates can be accumulated together (use of several les Collectionneurs Gift Certificates to pay for a service) but cannot under any circumstances be used as part of a promotional offer or a special operation. Les Collectionneurs Gift Boxes and les Collectionneurs Gift Certificates cannot be segmented: they must be used integrally, in one go, within a single Participating Establishment or les Collectionneurs Establishment. Any services not included in a les Collectionneurs Gift Box must absolutely be paid by the Beneficiary to the Participating Establishment in accordance with its conditions. In the event that the services provided by a les Collectionneurs Establishment to the Beneficiary of a les Collectionneurs Gift Certificate amount to less than the face value indicated on that les Collectionneurs Gift Certificate, the Beneficiary and the Customer will in no way be entitled to reimbursement of the difference in any form whatsoever. In order to benefit from the services included in a les Collectionneurs Gift Box, the Beneficiary absolutely must make a prior telephone reservation directly with the Participating Establishment of their choice according to the methods described below. The list of Participating Establishments involved in each offer is included in each les Collectionneurs Gift Box, subject to any modifications that VEGA VOYAGES has been obliged to make. The current list of the Participating Establishments involved in each les Collectionneurs Gift Box offer is on the lescollectionneurs.com Website in the area devoted to les Collectionneurs Gift Boxes. In order to use a les Collectionneurs Gift Certificate to pay for accommodation or catering services, the Beneficiary absolutely must make a prior telephone reservation directly with a les Collectionneurs Establishment of their choice according to the methods described below. The list of les Collectionneurs Establishments appears on the printed guide for les Collectionneurs in force on the day of acquisition of les Collectionneurs Gift Certificates, subject to any modifications that VEGA VOYAGES has been obliged to make. The current list of les Collectionneurs Establishments is on the lescollectionneurs.com Website. The Beneficiary may use the services provided in les Collectionneurs Gift Boxes every day, week and weekend, midday and/or evening, depending on the options described in the package and the days and hours of operation of the Participating Establishments concerned, with the exception of 24th, 25th, 31st December and 14th February. Member establishments of the les Collectionneurs network are required to accept les Collectionneurs Gift Certificates as a means of payment. The reservation cannot be made via online travel agencies such as Booking.com, Expedia.fr, Hotels.com, etc. Tourist taxes may not be included in the amount of a les Collectionneurs Gift Certificate. If necessary, they must be paid to the establishment by the Beneficiary. - Preferred dates for use of the services included in a les Collectionneurs Gift Box or that will be settled by means of a les Collectionneurs Gift Certificate. VEGA VOYAGES reminds Customers and Beneficiaries that certain periods are particularly popular with travellers (and in particular, Easter, the May bank holidays, 14 July, and 15 August). 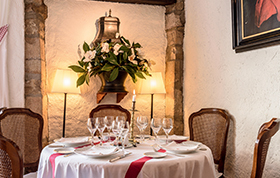 During these periods, the Participating Establishments or les Collectionneurs Establishments can be quickly booked up and some Participating Establishments or les Collectionneurs Establishments may require a reservation of a minimum number of nights. The Beneficiary may modify their reservation directly with the Participating Establishment or the les Collectionneurs Establishment concerned in accordance with the normal conditions practiced by the Establishment in question. No modification that deviates from the conditions usually practiced by the Participating Establishment or the les Collectionneurs Establishment concerned will be accepted. In the event that the Beneficiary has not modified their reservation according to the normal conditions practiced by the Participating Establishment or the les Collectionneurs Establishment concerned, in the event of non arrival on the day and at the time scheduled during the reservation, they will no longer be able to claim the benefit of the services included in the les Collectionneurs Gift Box or to use the les Collectionneurs Gift Certificate concerned. Upon arrival at the Participating Establishment or the les Collectionneurs Establishment concerned, the Beneficiary must provide the establishment with the les Collectionneurs Physical Gift Box or les Collectionneurs Physical Gift Certificate, in the case of a les Collectionneurs Physical Gift Box or Gift Certificate, or a printout of a les Collectionneurs e-Gift Box or les Collectionneurs e-Gift Certificate, in the case of a les Collectionneurs e-Gift Box or Certificate. The use of les Collectionneurs Gift Boxes or les Collectionneurs Gift Certificates to benefit from the services provided by the member establishments of the les Collectionneurs network does not grant the Beneficiary or Customer credits of any kind whatsoever under the les Collectionneurs loyalty programme. The Customer is required to communicate any non-compliance encountered when using les Collectionneurs Gift Boxes and les Collectionneurs Gift Certificates. Any complaint concerning les Collectionneurs Gift Boxes and les Collectionneurs Gift Certificates can be made to VEGA VOYAGES, either in writing to Service Marketing - les Collectionneurs Bords de Seine 1 | 3 Esplanade du Foncet - 92441 ISSY LES MOULINEAUX CEDEX – France, by e-mail to the address cadeau@lescollectionneurs.com, or by telephone on +33 1 72 72 92 02 (normal local call rate) 9:00 to 19:00 Monday to Friday, and 9:00 to 13:00 Saturdays, excluding public holidays. For any provision included in les Collectionneurs Gift Boxes that can be described as "travel services" as part of a trip within the meaning of Article L211- 2 of the Tourism Code, VEGA VOYAGES will be responsible as of right for breach of contract in the performance of those services. 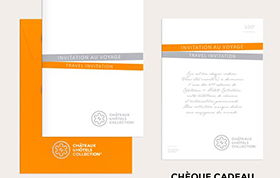 The photographs used to illustrate les Collectionneurs Gift Boxes and les Collectionneurs Gift Certificates are not contractual and can be modified at any time by VEGA VOYAGES. They can come from les Collectionneurs network members or from image banks. The Customer benefits from a legal guarantee of conformity provided for by existing regulations, especially in the event that les Collectionneurs Gift Boxes or les Collectionneurs Gift Certificates do not correspond to the description given by VEGA VOYAGES. Any conformity defects that appear within a period of twenty-four months from delivery of a les Collectionneurs Gift Box or a les Collectionneurs Gift Certificate are presumed to exist at the time of the delivery, unless proven otherwise. Any action resulting from the lack of conformity must occur within two years from delivery of a les Collectionneurs Gift Box or a les Collectionneurs Gift Certificate. In case of lack of conformity, the Customer may request the replacement of a les Collectionneurs Gift Box or a les Collectionneurs Gift Certificate. If replacement of a les Collectionneurs Gift Box or les Collectionneurs Gift Certificate is not possible, the Customer can return it and get a refund, or keep the non-compliant les Collectionneurs Gift Box or les Collectionneurs Gift Certificate and ask for a price reduction to be determined on a case-by-case basis by mutual agreement between the Parties. The Customer benefits from the guarantee against hidden defects provided for by articles 1641 to 1649 of the Civil Code. As such, VEGA VOYAGES is bound by the guarantee against hidden defects affecting any les Collectionneurs Gift Box or any les Collectionneurs Gift Certificate making it unfit for the use for which it is intended, or which reduce its use to the extent whereby the Customer would not have acquired it, or would have paid a lower price if they had been known. The legal warranty covers all costs caused by the hidden defects. The defect must exist prior to the sale and render the products unfit for the use for which they are intended. In this case, the Customer may either return a les Collectionneurs Gift Box or les Collectionneurs Gift Certificate and have the price refunded, or keep the les Collectionneurs Gift Box or les Collectionneurs Gift Certificate and be refunded part of the price. The time limit to act is two years from the discovery of the defect. The brands and other distinctive signs as well as the elements reproduced on les Collectionneurs Gift Boxes, les Collectionneurs Gift Certificates and on the thecollectionneurs.com Website, in particular in the form of texts, photographs, images, icons and logos, are protected by intellectual property rights. Any use, reproduction, representation or adaptation of these elements by any means whatsoever, without the express authorisation of the holder of the said intellectual property rights, may lead to prosecution before the relevant courts. In the context of the marketing and use of les Collectionneurs Gift Boxes and les Collectionneurs Gift Certificates, VEGA VOYAGES collects personal data about the Customer, and where applicable the Beneficiary, either directly, in particular through the lescollectionneurs.com Website, or indirectly, through the Participating Establishments and les Collectionneurs Establishments. VEGA GESTION, a public limited company with capital of €100,000 whose registered office is Bords de Seine 1 – 3, Esplanade du Foncet - 92441 Issy-les-Moulineaux cedex, registered in the Nanterre RCS under number B 382 256 857. VEGA VOYAGES, a limited liability company with capital of €257,700 whose registered office is Bords de Seine 1 – 3, Esplanade du Foncet - 92441 Issy-les-Moulineaux cedex, registered in the Nanterre RCS under number 422 044 693. The Customer and/or Beneficiary have the rights indicated below regarding the personal data collected as part of the sale or use of les Collectionneurs Gift Boxes and les Collectionneurs Gift Certificates. The exercise of these rights is free, except in the case of unjustified or excessive requests. Where applicable, VEGA VOYAGES will charge a reasonable fee based on the administrative management fees incurred to meet the requests of the Customer or the Beneficiary. - by sending an email to service@lescollectionneurs.com. The Customer and the Beneficiary may also, for legitimate reasons, oppose the processing of data concerning them by writing to the above address. In the aforementioned hypotheses, the Customer and the Beneficiary may request the transmission of their data, directly to themselves or to another provider designated by them. The Customer and the Beneficiary are entitled to lodge a complaint with the CNIL if they believe that the use of their personal data does not comply with the regulations on data protection, or when they have reason to believe that their personal information is or has been used in a manner that does not comply with the law. The use of the Lescollectionneurs.com Website may give rise, subject to acceptance by the Customer, to the recording of certain information relating to the navigation of their terminal in files called "Cookies" installed on their terminal (the "Cookies"). They are intended to streamline Customer navigation and connection, retain their layout preferences, keep their credentials for faster access to online areas and display preferences. Some Cookies are also deposited through services such as Google Analytics, to record the number of visits, page views and the path taken by users. This data collection is useful for optimising the ergonomics and functional improvement of the lescollectionneurs.com Website. Any order of les Collectionneurs Gift Boxes or les Collectionneurs Gift Certificates is subject to French law. In the event of a dispute, the Parties undertake, before any contentious action, to jointly seek an amicable solution in good faith. Any claim will therefore first be made in writing to VEGA VOYAGES at the following address: Service Marketing les Collectionneurs, Bords de Seine 1 – 3, Esplanade du Foncet - 92441 Issy-les-Moulineaux cedex. In the event that no agreement can be found after an attempt to resolve the dispute amicably, either Party may request, without charge, the services of the Médiation du Tourisme et Voyages, BP 80 303 – 75823 Paris Cedex 17 www.mtv.travel. If no amicable agreement can be found, the dispute may be submitted to the relevant court. Metropolitan France Delivery: Delivery guaranteed for Christmas for all orders placed until 17th December. Delivery abroad: Delivery guaranteed for Christmas for all orders placed until 15th December. Metropolitan France Delivery: Delivery guaranteed for Christmas for all orders placed until 21th December at 10:00 a.m.
les Collectionneurs commercialized Gift Vouchers on its website. These are also be called “Travel Invitation”. “Travel Invitation” is also the advertising terminology used for the Gift Vouchers. Gift Vouchers are face value which enables to benefit the hosting services, breakfast and restoration services in the member establishments of les Collectionneurs network. Gift Vouchers are valid for 24 months from the date of activation, in every establishments of the EuroZone, members of the association, presented in the booklet “Guide les Collectionneurs” of the calendar year or on the website www.chateauxhotels.com. The gift vouchers are cumulative (the use of several gift vouchers to pay a service is possible) but can in no way be used in a case of a promotional offer or a special operation. Gift Vouchers are presented by a gift sheet and a presentation booklet indicating the nature of the benefits to which it is entitled, the validity period, as well as the user manual Gift Vouchers. Any Gift Voucher order, whatever the terms and conditions, implies full acceptance and adherence to these Terms and Conditions of Sale; this is expressly understood and agreed by the customer. Orders are supplied within 30 days after acceptance and verification of payment in case of remote payment by credit card. Thus, according to the conditions chosen by the customer when ordering, the ordered items are within 30 days mailed to the beneficiary of the order, whose his contact details has been expressly informed by the customer during the ordering process . In this case, any delivery in metropolitan France are tracked and consequently charges to the customer an additional fee of €8.00 including tax and VAT (depending on the number of vouchers ordered, with a limit of 10 vouchers per beneficiary). The shipping costs are charged to the customers. The prices charged by VEGA VOYAGES may be revised at any time by the latter. Gift Vouchers are completely paid in euros by payment card belonging to the customer (e.g. Carte Bleue, Visa, Eurocard / MasterCard, American Express, e-carte bleue, JCB, Diners). In this case, payment is done online via a secure payment system, known as the secure socket layer technology (SSL), which requires that the customer provides his payment card number and expiration date. Any fraudulent use of the customer's payment card falls under the contractual arrangements between the card owner and his bank. Gift Vouchers are not nominative, so they can be used by any holder of it. Each voucher is to be used once. They are under the responsibility of the bearer without any possible recourse in case of loss or theft and shall not be sold. Gif Vouchers are never repaid fully or partly against cash. Gift Vouchers are valid 24 months from the date of activation and must imperatively be used during the validity period. The validity of the Gift Voucher benefits may be extended once, during the period of validity, for six months. In any case the period of validity can be extended after the expiration date. The Gift Vouchers are in any circumstance duplicable. Any full or partial reproduction of les Collectionneurs Gift Voucher is liable to prosecution. The member establishments of les Collectionneurs network (except Romantik Hotels network) are required to accept gift vouchers as payment. The customer must visit the website https://www.chateauxhotels.co.uk/gift-box, enter the code which appears on the back of gift voucher in order to check the expiration date. Then, the customer can choose the room of the establishment where he expects to use his gift voucher. Accommodation and / or restoration services provided in the packages of Gift Vouchers must always be booked in advance, according to the conditions as described below. - Through the hotel's restaurant chosen by the beneficiary. The phone number is indicated on the web site http://www.chateauxhotels.co.uk/gift-box or on the Guide les Collectionneurs. The customer must communicate during the booking process, the reference of his Gift Voucher. In the case that a customer is the beneficiary of several Gift Vouchers, he shall inform each Gift Voucher References during the booking process. Booking cannot be done through online travel agencies such as Booking.com, Expedia.fr, Hotels.com, etc. Any modification or cancellation of the previously confirmed booking is subject to the conditions of the establishment concerned. The customer pays his stay and / or the meal by presenting the gift vouchers upon arrival in the establishment. Any overspending and/or use of any service not included in the packages of Gift Vouchers must imperatively be charged by the beneficiary to the establishment concerned, according to the conditions of the latter. Tourist taxes may not be included in the amount corresponding to the invitation. In this case, they must be paid by the beneficiary to the establishment. The customer is not allowed to claim any exchange or compensation in case of no show in the establishment on the day and hours planned during the booking. The customer (or beneficiary) must claim any complaints and errors concerning the delivery and / or non-compliance regarding to the order, within forty-eight hours following the delivery (date of receipt or withdrawal date at headquarters) to the company VEGA VOYAGES. Any complaint formulated beyond this time will be rejected and the delivered Gift Vouchers will be deemed to be conformed and accepted by the customer. Any difficulty relating to the execution of the package can be brought to VEGA VOYAGES in writing addressed to: Customer Service -les Collectionneurs Bord de Seine 1 | 3 esplanade du Foncet - 92441 ISSY LES MOULINEAUX CEDEX - FRANCE. The names les Collectionneurs, the Collection of tables, drawing and logo are officially filed at the French National Institute of Industrial Property, and are under legal protection against any use made without the permission of their owner. It is strictly forbidden to reproduce, modify, transmit, publish, adapt, on any medium, by any means, or operate in any manner, all or a part of the website content les Collectionneurs without the prior written permission of VEGA VOYAGES. 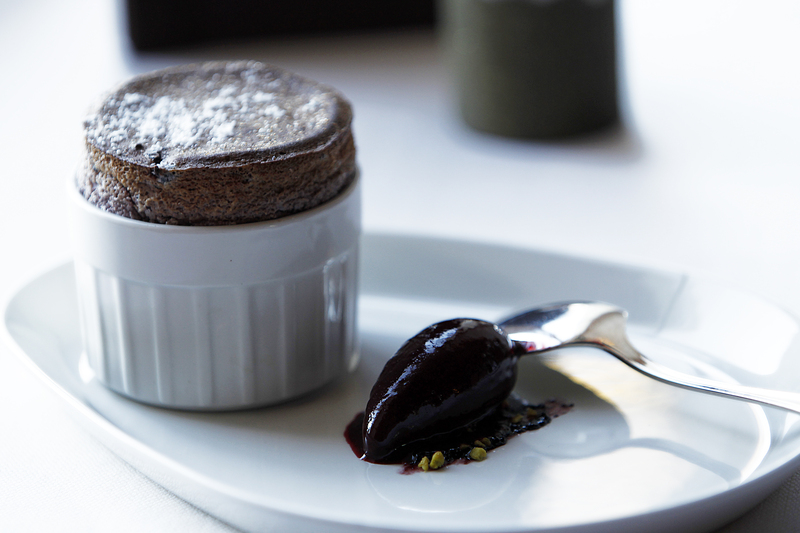 The personal data provided by the customer may be reported to VEGA VOYAGES partners, to the member establishments of les Collectionneurs network, and any other member company of Alain DUCASSE Group. The personal data is, unless the expressly request to the contrary by the customer, incorporated in the customer file of les Collectionneurs, which was declared with the CNIL (Commission Nationale Informatique et Libertés), the French National Commission for Computerized Data and Civil Liberties. The customer has a right to access and correct the data that concern him. To exert this right, the customer must send a request by mail to the following address: les Collectionneurs, Bord de Seine 1 | 3 esplanade du Foncet - 92441 ISSY LES MOULINEAUX CEDEX - FRANCE. During the purchase of a les Collectionneurs Gift Voucher, under the terms of Article L.121-20 of the Consumer Code, the consumer has a period of 14 (fourteen) days to exercise his right of withdrawal without having to give any reasons or incurring penalties, except, return costs. The period mentioned above run from the date of receipt of (or) Gift Vouchers les Collectionneurs. Return costs will be at the charge of the customer. Only les Collectionneurs Gift Vouchers returned on time and in perfect condition may be repaid. les Collectionneurs' Gift Vouchers returned damaged soiled and/or with a lack of the voucher and/or the booklet, will not be accepted and may not be repaid. les Collectionneurs Gift Vouchers will be returned to the following address: les Collectionneurs - Bord de Seine 1, 3 esplanade du Foncet - 92441 ISSY LES MOULINEAUX CEDEX - FRANCE. Any return made according to the terms and conditions of this section will result in a refund equal to the totality of the sums paid by the customer no later than thirty days from the day of receipt of les Collectionneurs Gift Vouchers in perfect state.